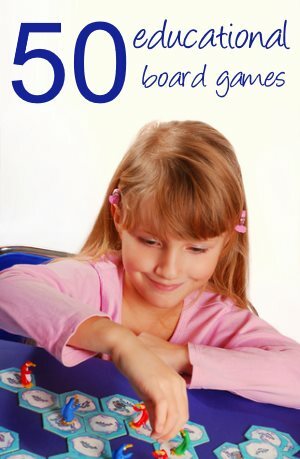 Homeschool Curriculum Crisis - Interest led or Exams? Hi, My name is Anna I love your website and find it very helpful. I have a small crisis and am wondering whether you could offer some advice...? Six of my eight children are home educated and for the younger children it is working well if a little chaotically. My eldest daughter came out of school at the age of eight as she was struggling and just did not wish to be there - not the schools fault, it just wasn't right for her. She is now 13 and although I am mindful of the necessity to pass exams in English and Maths at the very least, I don't know whether to focus solely on the subjects taught at school following the same curriculum as they do, or whether to ditch that idea (and the pressure)! and just teach her whatever she's interested in. I's such a huge responsibility! I dont want to make the wrong choices on her behalf, however, my momentum for 'not conforming' and 'going it alone' has taken a bit of a dive, so now I'm struggling to get back on track! Great question - and one I think many of us ask when our children get to 12/13 years old. It is difficult to advise you because, of course, we must each make our own choice. But I thought if I told you about my decision, that might help you to decide. With a traditional route everything is more straightforward (I am not saying easier! Just more of a well trodden path). It is easier to take exams in traditional subjects, and then follow a more expected route to university and into a job. I have had many people tell me that my children won't get a job if they don't take (lots of) exams. 1. I don't really expect my children to get a job via traditional routes. I think there are always opportunities for people who show particular talent or abilities in an area. As an example, I know of one consulting firm that will not hire anyone without a degree. But they came across someone with exceptional talent (but no degree) and wanted to hire him. They had to go to the director of the firm to make an exception to their rule - but they still hired him. I am not sure whether my children will show exceptional talent in any area - but I feel I am giving them the best opportunity I can to let them develop in their own way. 2. I suspect my children will both work for themselves and so again, don't need to get on the job ladder. 3. I don't see the hurry. I know you are supposed to sit exams and 'get your education out of the way' by a certain age - but really, why? Isn't life a journey? My mother decided to go to University aged 50 - and trained to become a social worker. It is never too late to do what you want to do. 4. Professional qualifications are often available in career fields and I think have more weight than 'normal' qualifications. My daughter has talked about being a dog trainer for example - so we can always take professional dog training qualifications later if she still wants to do it. 5. The children just aren't interested in following a 'standardized' curriculum. They love to learn and explore and it seems plain silly to try to force them into learning something they are not interested in just because everyone else is doing it. I have talked about education in a box before and I still think that it is useless to try to define the limits of an education in the way most curriculum do. I am not saying that we will never conform, but currently it suits us to do things this way. I am sure many will disagree with me - but each of us can only do the best we can - and this is my best. You know your daughter better than anyone. Looking back - what do you think would be the right decision to have made for her? 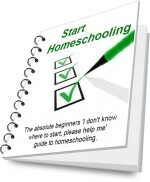 Go to Homeschooling Help from Homeschool Curriculum Crisis - Interest led or Exams?. 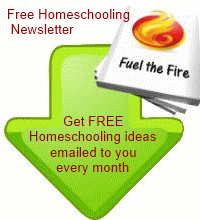 Go to Homeschooling-ideas Home from Homeschool Curriculum Crisis - Interest led or Exams?. Comments for Homeschool Curriculum Crisis - Interest led or Exams? It is possble to comromise and do a little bit of both, studying for the test and letting your children follow their own interests. We do our core curriculum, (Time4Learning), which helps us with the regular course work of language arts, math, science, and social studies. We also do what we call special projects. These are subjects that my child is particularly interested in, one year she studied volcanos and dinosaurs. This year she is studying insects, archery, and Civil War battle grounds. My child wants to be a veterinarian so her life will consist of many tests in the future. At the same time, the independent special projects stuff will enrich her life and round out her education. I hope that is the best of both worlds!